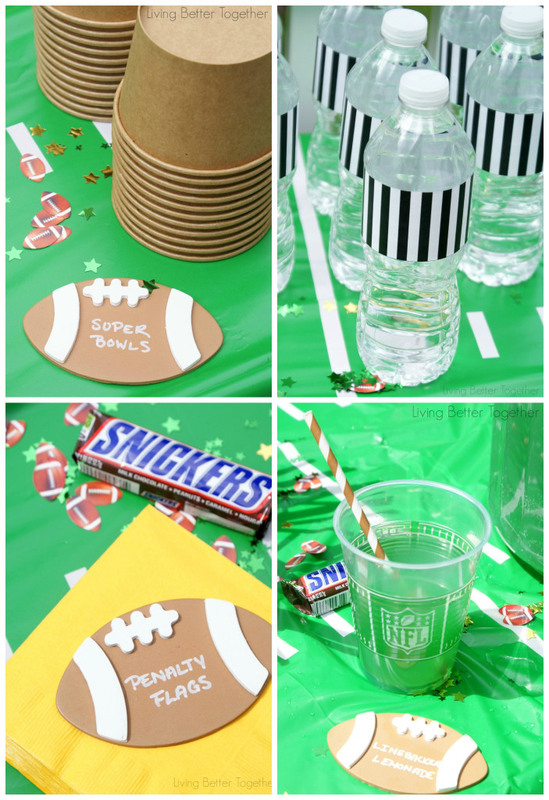 I am so excited to be featuring this football party on the blog today! Rebecca at Living Better Together is one of my closest blogging friends. We have not yet met face to face but we have so much in common, including the fact that we both love going to high school football games and throwing football parties, but we do not like watching the games on tv. Boring! A party on the other hand makes everything better! 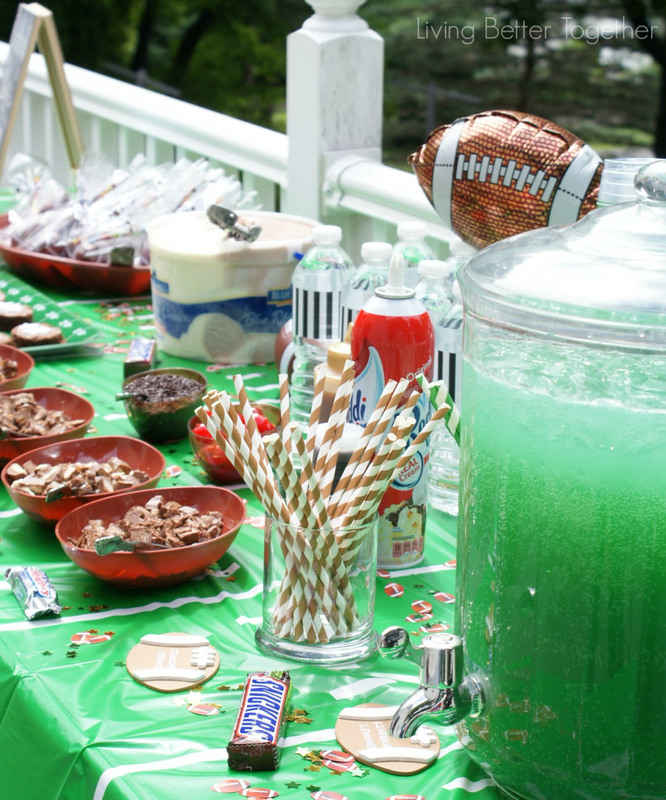 I’m also excited because I just think this is so darn cute – a Football SUNDAE Party! Get it! 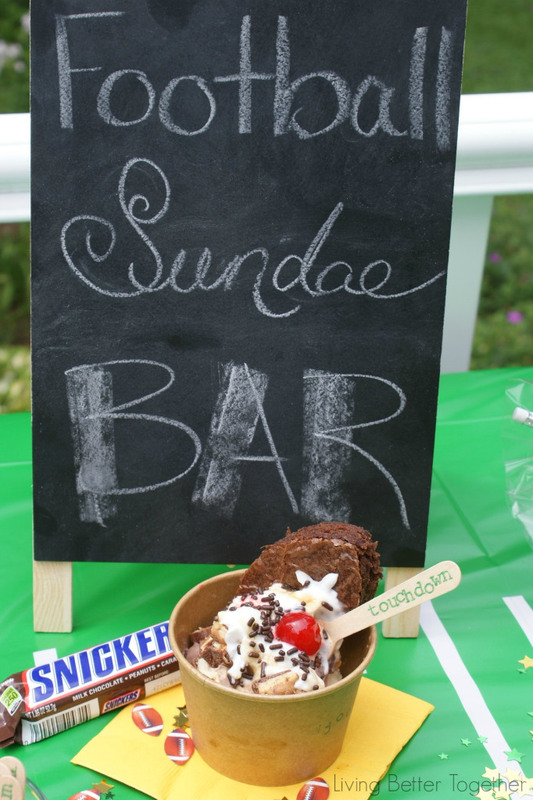 😉 How can you go wrong if you have ice cream, brownies and Snickers at your party? Head over to her blog now to see even more details and get the recipe for those yummy brownies. Plus, she has done all the work for you and tells you exactly what needs to be on your shopping list to throw this party! There is more football fun for you all, too!! We are now offering a monthly Special Edition newsletter with themed content that you will not necessarily see on this blog. For example, October’s Football Newsletter has a link to incredible Mexicola Avocado Potato Skins, FREE football party printables and a fun football date night that will make the sports lover in your relationship so happy. I’m totally going to do this even though I’m not a huge football fan. The things we do for love, right? SO MAKE SURE YOU HAVE SIGNED UP TO GET MORE FOOTBALL THIS MONTH! what a great idea and party. i love the sundae! My son would go crazy! I love everything about this fun party! The spoons are darling and love the water bottles! Also, your blog is lovely! So fun finding you through Circle of Bloggers! What some creative ideas. 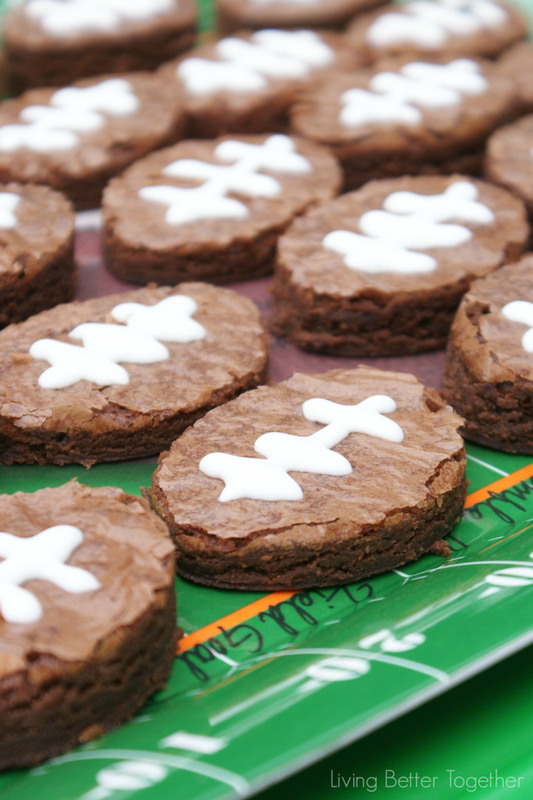 Your really “scored” with the brownies. I wanted to make this snack. Pretty amazing pics. Wow looks yummy. I will try to make this 🙂 Thanks! 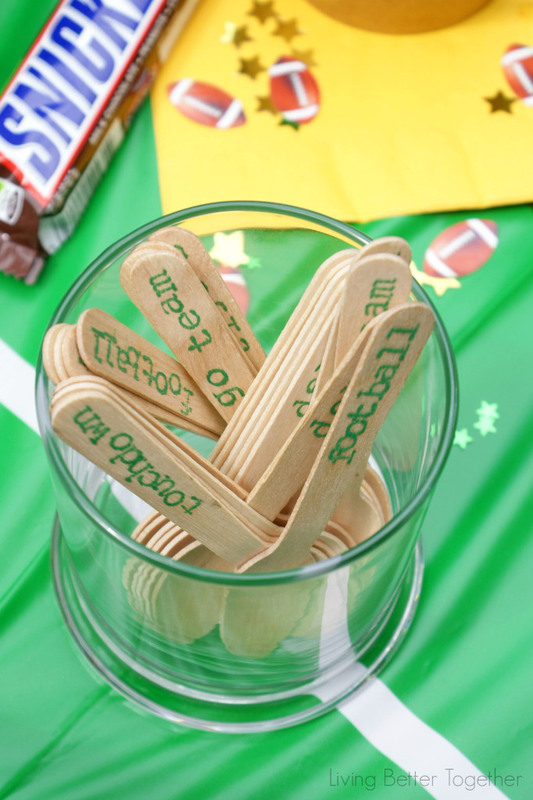 I think I might love ice cream almost as much as I love football. Okay, maybe not, but it’s close. I love this idea. That party looks amazing! Snickers is my favorite chocolate candy bar! Those are such cute decorations. I love the wooden spoons.